One of North Queensland's leading banana growers says diversification has been an important part of the company's profit strategy. 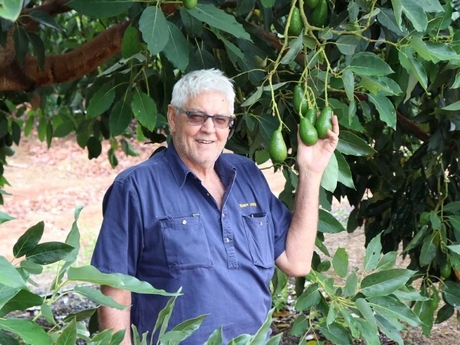 Howe Farming Group is a second-generation family owned company, located in Walkamin in North Queensland, mainly grows bananas - but has branched out into avocados, papaya, blueberries, as well as sugar cane and coffee. "It's nice to have an alternative income," Managing Director Dennis Howe said. "There is not a lot of money in sugar cane (now), but a couple of years ago, there was more profit in it than bananas. Avocados have been pretty good, for the last 20 years really. But what's in store in the future with all the plantings going in, is going to be interesting." 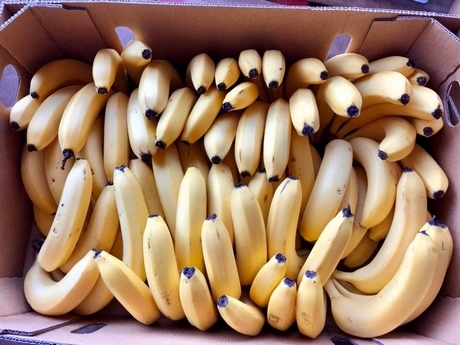 Around 70 per cent of the business is focused on bananas. Mr Howe says the summer season has been an average crop for this time of year. "It's been pretty good, we've been pretty busy" he said. "We had a bit of a slack time in October-November, but we have been busy lately. Growing conditions have been good, a bit wet at the moment, but not too bad for middle of the wet season. We had a couple of weeks of hot weather (in December), it was hotter than usual, but it wasn't too bad. We kept the water up to the plants." The next biggest crop is avocados, with around 3,000-4,000 tonnes a year. The harvest season started this week, and is set to run until the end of May. Mr Howe has noticed a change in growth patterns in recent years, away from the biennial nature of the fruit. "It used to be, but the crop has been pretty consistent in the last 3-5 years," he said. "I could actually go back really, since Cyclone Larry in 2006. We have some blocks that are up and others down each year, but overall, it's been pretty consistent. Howe Farming Group also made the move into blueberries, around the same time Costa started producing in the region nearly seven years ago, although the managing director admits that they are nowhere near the same scale. Production starts at the end of June and finishes in September. "We can't seem to get the high yields that we need to get to make them better, but the quality is good and they grow quite well," Mr Howe said. "There are some varieties that are higher yielding, but we haven't got them or we can't seem to get them to get big yields early in the season. They're not a bad crop, but a bit labour intensive. I mean, bananas and avos are also labour intensive, but not as much as berries. We only have 30 acres in." This week was the company's first consignment of papaya, but it was only a very small shipment. "It's only one pallet, so it's very small," he said. "But we have just been playing around, seeing how they grow on one of the farms. It's sort of a niche market, papaya. I don't even know the total market, but it is looked at as an opportunity, for exposure. The number of people that buy it is fairly low, so there is the opportunity to grow if you have got the right product and can promote it. They are hard work compared to bananas and avos, but it is another string in our bow." The vast majority of produce goes to the domestic Australian market, although some has ended up overseas in the past. 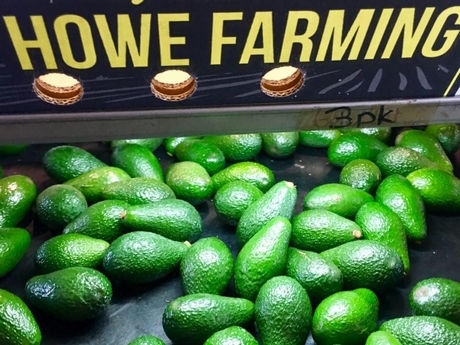 "Last year, we didn't export directly, but some of our avocados ended up in Hong Kong," Mr Howe said. "This year we are looking at packing some specifically for there, some of the smaller sizes. They like a small size, which suits us, as it is not in the chain stores' specifications. As the industry production goes up, we are going to need that more and more. It's well worth pursuing. But apart from avos, nothing else is exported. Our labour rates here are so high we can't export bananas. We have played around to New Zealand - there are certain times of the year there is a market we can compete with but largely we are domestically focused."